Acquires Finnish vegetarian success Kavli invests in non-meat growth category. The Norwegian-owned Kavli food group has strengthened its focus on plant-based foods by acquiring the Finnish company Verso Food. 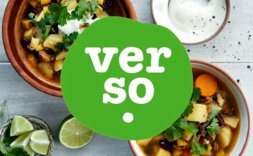 Verso has very quickly become a market leader in Finland with its Härkis brand, selling products based on fava beans. Kristine Aasheim appointed MD for Kavli Norway Kristine Aasheim will leave her role as Marketing Director to become Managing Director for Kavli Norway, and will continue her focus on developing strong brands such as Kavli®, Q-Meieriene® and Skyr®. She will also be a member of the Kavli Group Executive Committee. Solid Kavli growth brings record donation for good causes The Norwegian-owned food group Kavli last year delivered strong organic growth and will increase their annual donation to the Kavli Trust with to 100 million Norwegian kroner (GBP 9.3 million). Kavli acquires Bollnäsfil Kavli has reached an agreement with Gefleortens mejeriförening to acquire the premium dairy brand Bollnäsfil as part of Gefleortens restructuring process. Kavli owns today the market leading dairy brands Tigers, Bärry and Skyr, and will now further increase its position as a strong dairy producer in Sweden. Solid bottom line growth after efficiency improvements Bergen 26 May 2017 – The Norwegian owned foodstuffs group Kavli shows a solid improvement in its 2016 results, and as a result it can transfer 84 million kroner to its sole owner, the charitable foundation the Kavli Trust. Solid international growth for Kavli Bergen, 20 April 2016 – The Norwegian owned Kavli Group puts a lot of its success in 2015 down to the positive developments it has seen in the UK and Sweden. Weakened and uncertain framework agreements in the dairy sector could put the brakes on further growth in Norway. Kavli divests danish operations to Orkla The Norwegian based Kavli Group has entered into an agreement with Orkla Foods Denmark to sell its Danish operations O. Kavli AS.